I love 5-Hydroxy Gaba too. It was recommended by my naturopathic doctor. Have been taking it for years. 5-Hydroxy Gaba does what it says it will do. Its a wonderful sleep aid and taken regularly helps to calm and relax. I like that 5-Hydroxy Gaba by Priority One is a blend of things that help you sleep. It works for me when my mind won't shut up at night. 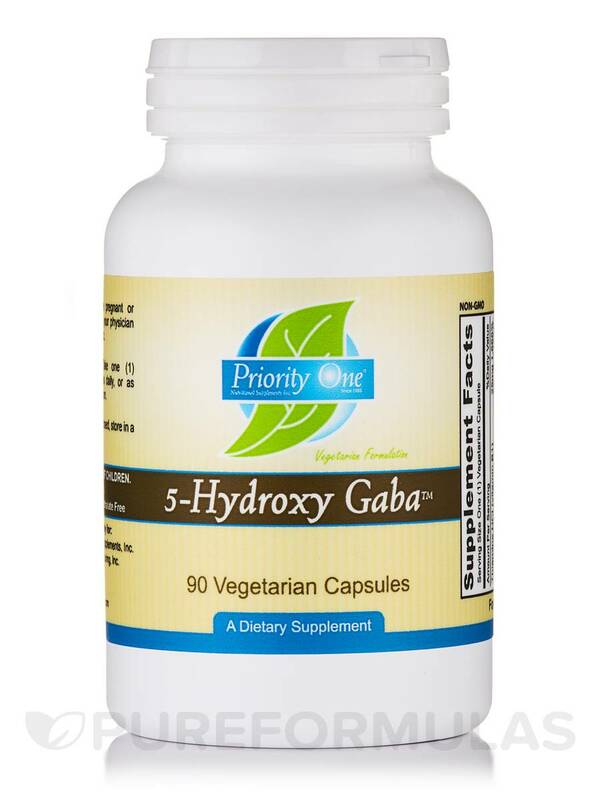 If you’re looking for a supplement that may have mild calming properties‚ you might want to try Priority One’s 5-Hydroxy Gaba. First‚ every serving of 5-Hydroxy Gaba provides GABA (gamma-aminobutyric acid)‚ which is an inhibitory neurotransmitter that could potentially work to inhibit nerve impulse transmission. As a result‚ this product may help address some signs of minor anxiety. 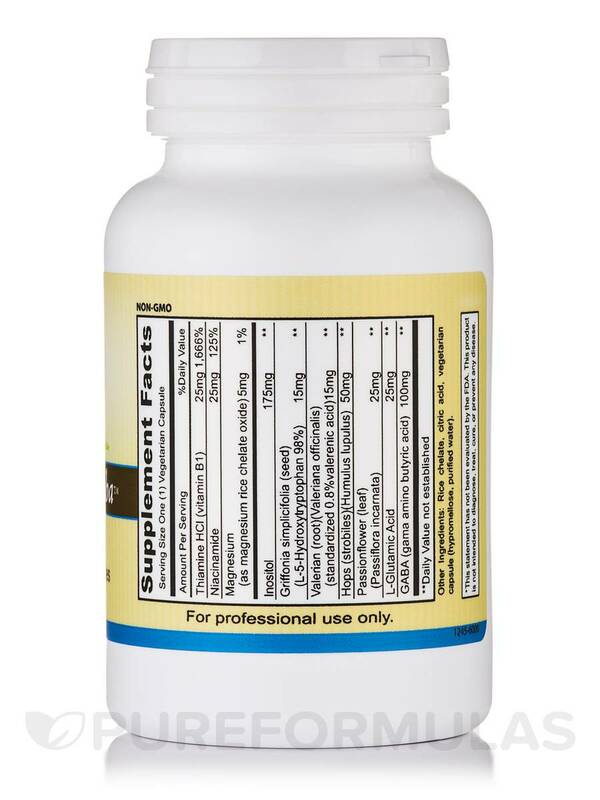 5-Hydroxy Gaba also contains griffonia simplicifolia seeds‚ which are a good source of 5-HTP (5-hydroxytryptophan). Notably‚ your body can convert 5-HTP into a neurotransmitter called serotonin. 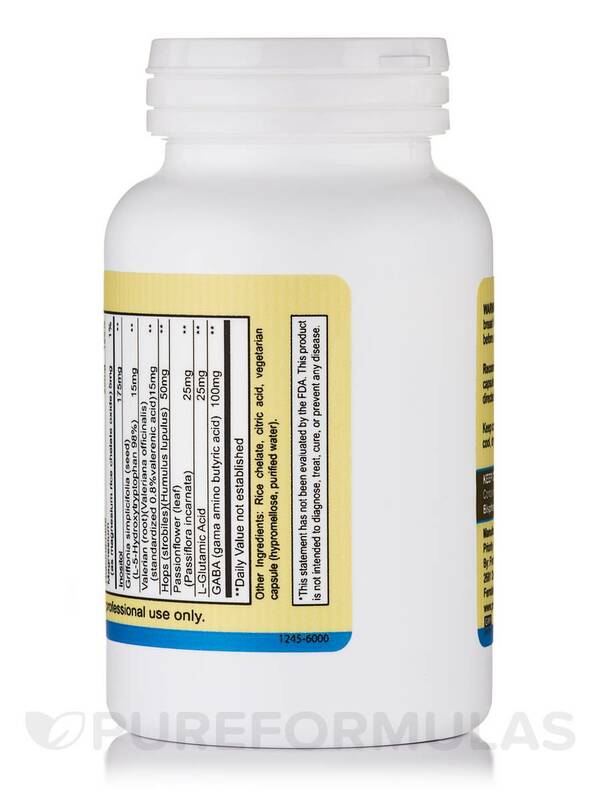 Since serotonin plays a key role in regulating your mood‚ this Priority One supplement may act to relieve certain symptoms associated with minor irritability or mood swings. In addition‚ 5-HTP may work to promote a good night’s sleep; specifically‚ it might help you fall asleep more quickly while also working to improve sleep quality. 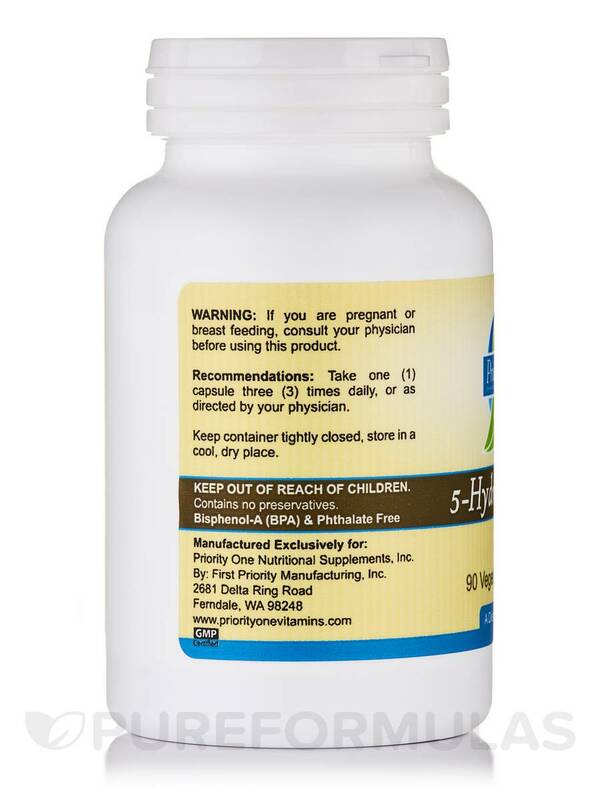 At the standard serving size of one vegetarian capsule three times daily‚ each 90-capsule bottle of 5-Hydroxy Gaba by Priority One should last for approximately one month. 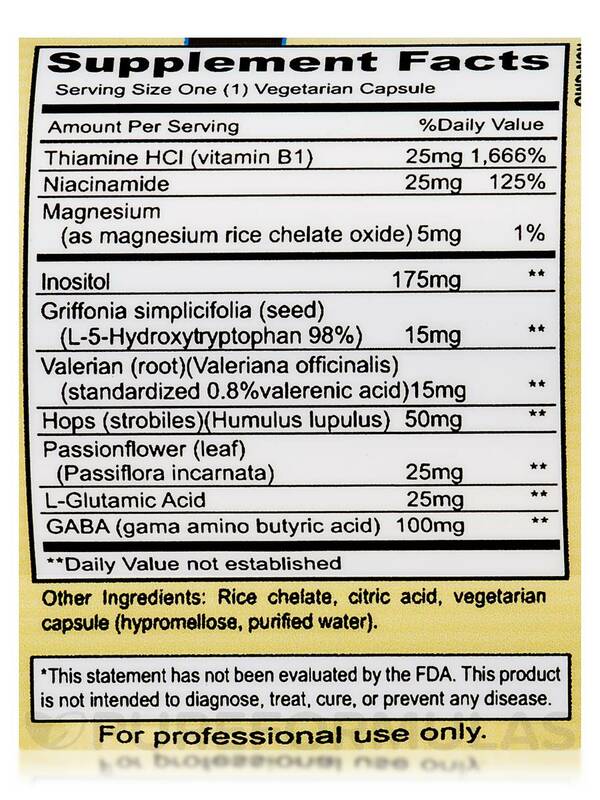 Other Ingredients: Rice chelate‚ silicon dioxide‚ citric acid‚ vegetarian capsule (hypromellose‚ purified water). 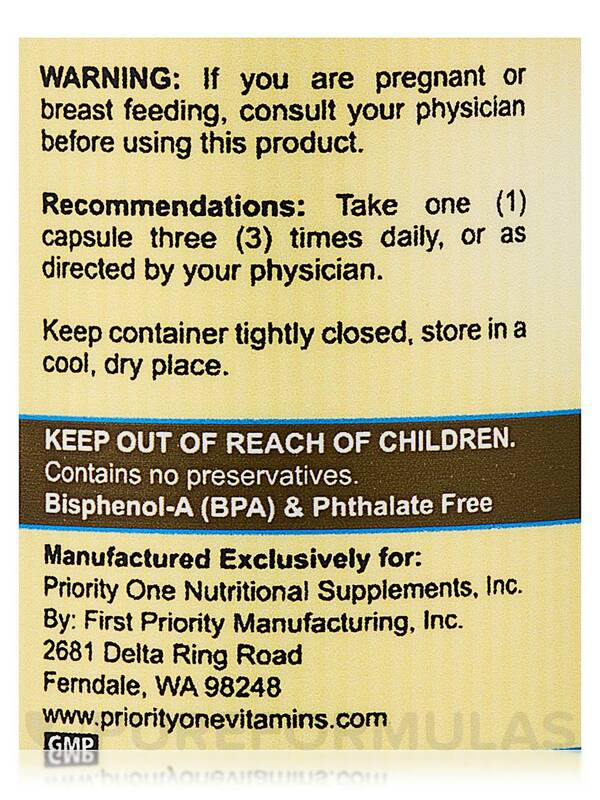 Take one (1) capsule three (3) times daily‚ or as directed by your physician.